The PERPACK Front Packing Station is a small module that can be easily installed on the ERGOSA™ 8 Universal Packer in order to offer an ergonomic and efficient solution for larger size cartons and auto bottom boxes. 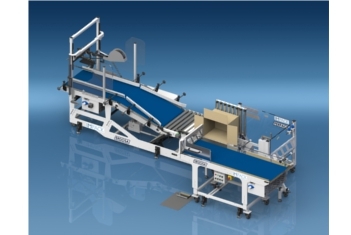 Its simple pusher device allows a quick packing of complete rows with a minimum of manipulations which makes the PERPACK the ideal solution for complex carton blanks packing such as auto bottoms (with MFA™) or for the packing of large straight line and 4/6 corners. The PERPACK Module allows packing single layer on one or two rows.